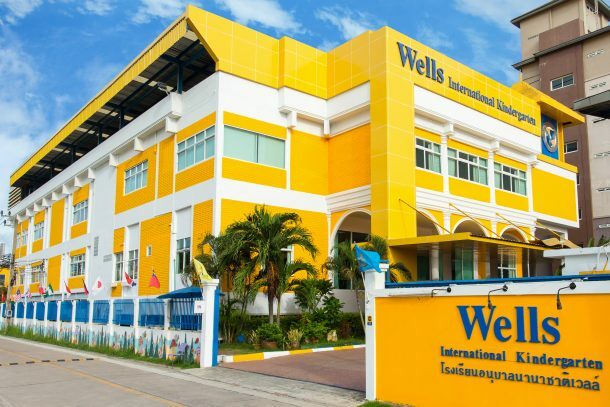 Wells International School – Bang Na is located on a spacious portion of land on Srinakarin 62, near the Bang Na-Trad Expressway and major locations such as Paradise Park and Seacon Square. 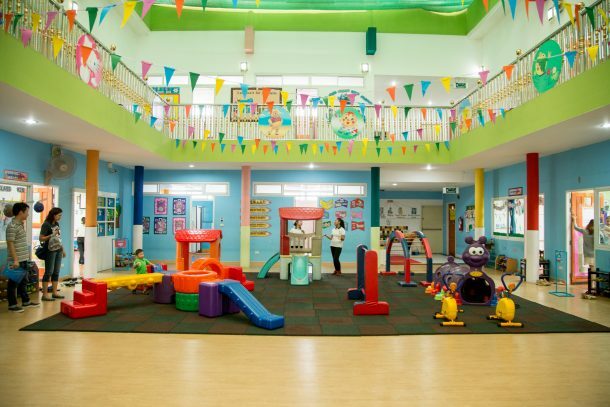 Like its sister campuses at On Nut and Thong Lor, the Bang Na campus is designed with both beauty and practicality in mind, and its early years facilities have been fully examined and certified to be safe for young children. Its primary facilities are in a new building next to the early years building. The facilities here are perfect for primary kids. Parents and visitors can make an appointment to tour our campus at any time. 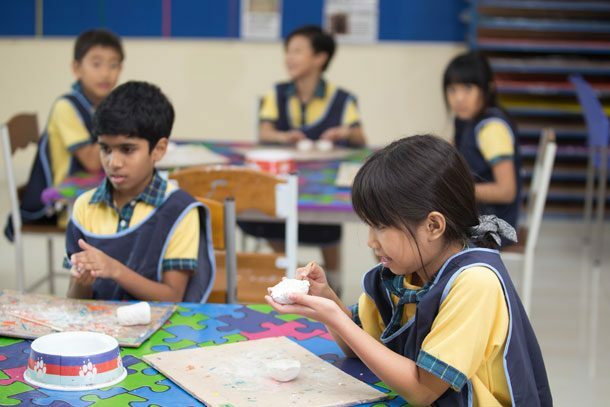 Our new primary building is spacious and airy, having many places for our students to explore, play, learn and grow. 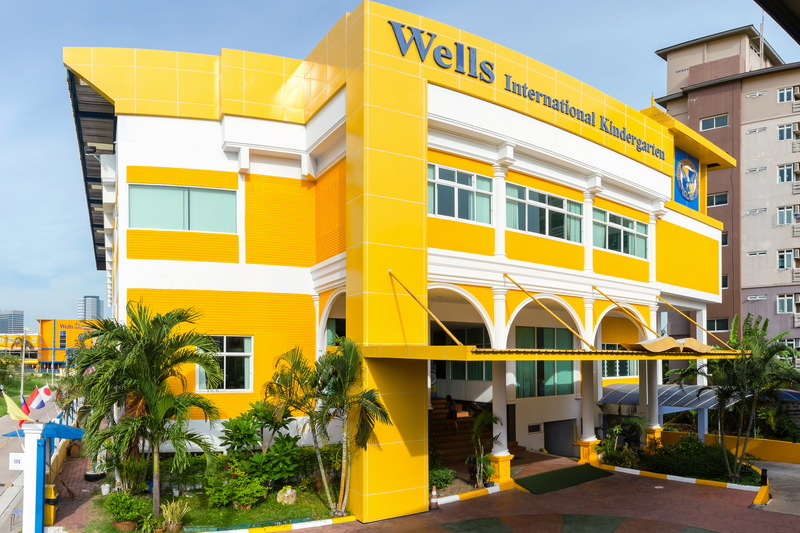 The primary building features 16 roomy classrooms, a palatial library, salt water swimming pool, state of the art science lab, capacious gymnasium and a sizable dance room. Our classrooms are bright and airy. Each classroom has a reading corner in order to promote early literacy, a projector for interactive learning and many hands on learning manipulatives. 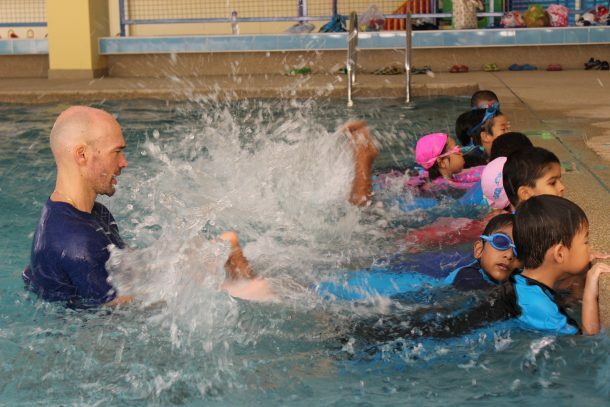 Primary Building Swimming Pool- Our swimming pool is warm, salt water to ensure the most healthy way for your children to enjoy swimming. The depth of the pool is 50 centimeters in the shallow end and 120 centimeters in the deep end. 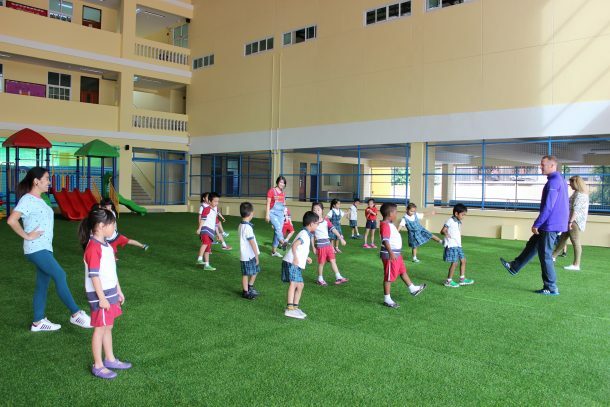 Playground – Our indoor/outdoor playground is covered, allowing the students to comfortably play without worrying about the heat and rain. 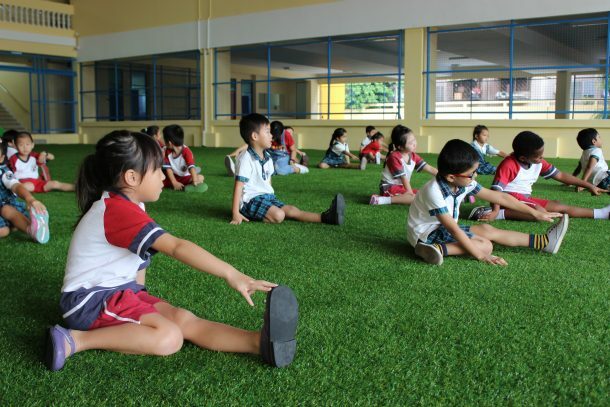 The primary students also do morning assembly and exercise in our indoor field each morning. 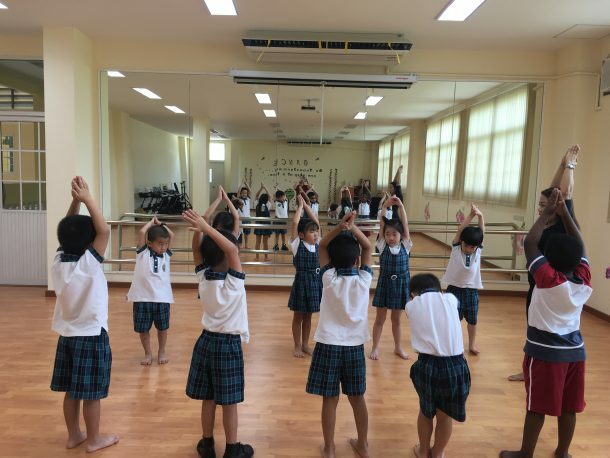 Our primary dance studio is complete with a barre and mirrors. 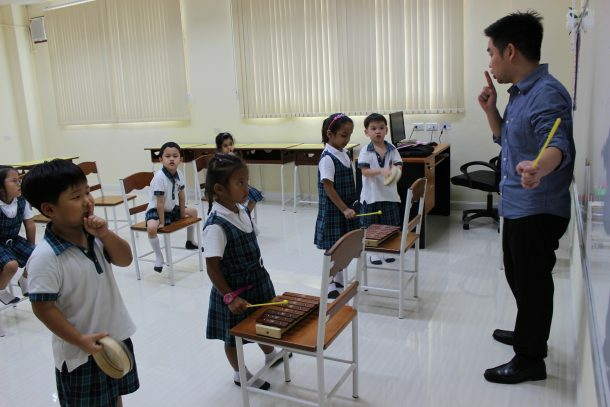 It is a large dance room allowing the kids to move freely while learning in dance and movement class and music class. 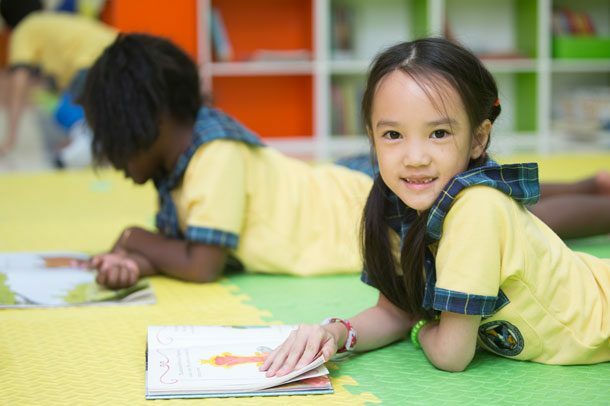 Our primary library boasts a cozy reading area where kids can relax with a great book and become literature lovers. 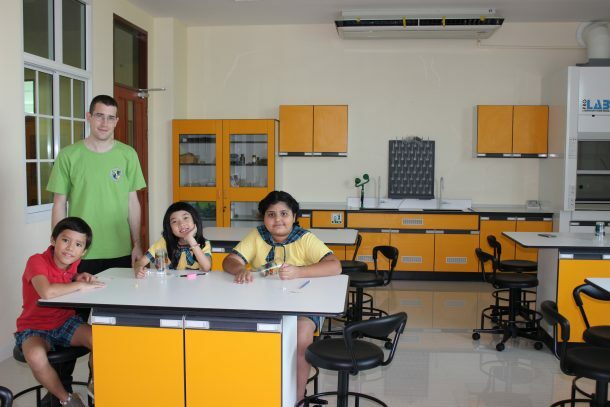 Our state of the art science lab allows a place for our students to think, wonder, explore, and experiment as a scientist. 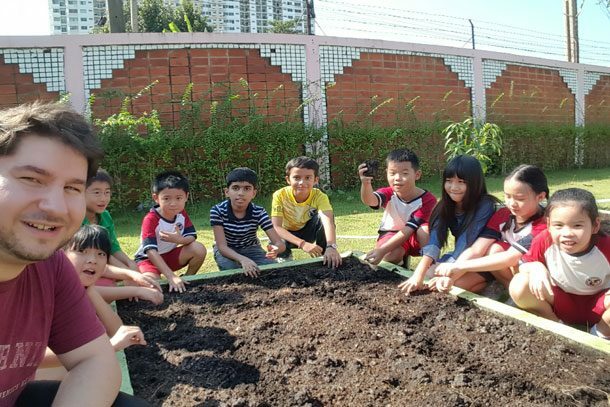 Wells Bang Na Mini Farm- Our garden provides an amazing outdoor learning area for our students. 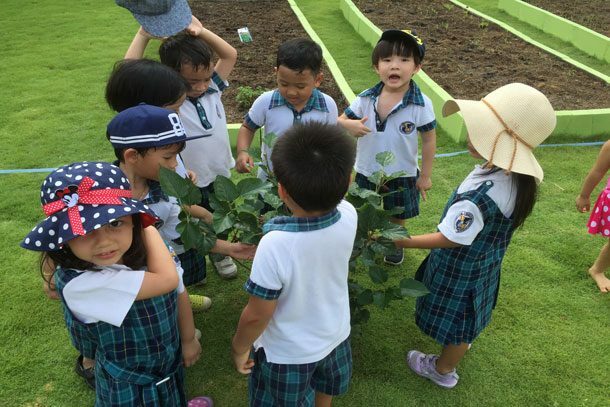 Our students learn about how to grow plants and enjoy nature in a wonderful environment. 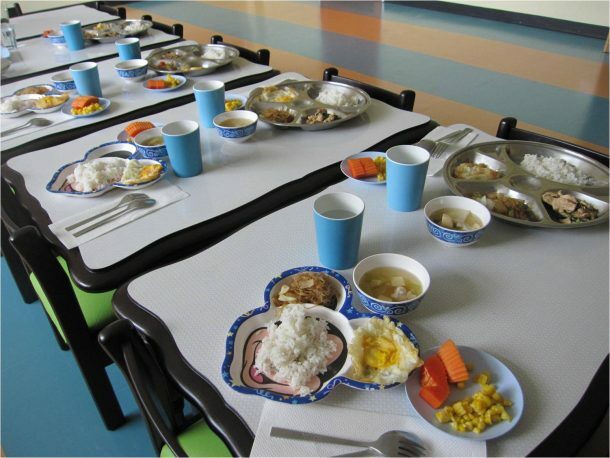 After the children grow vegetables and fruit, they are able to eat them. This is authentic, experiential hands on learning for our students! We also have a sensory sounds wall for exploration. Twelve classrooms are located around a central court, covered by a protective roof to prevent rain or pollution from entering the building. Each room is designed to be attractive, spacious and practical, providing children the space to move around and explore. 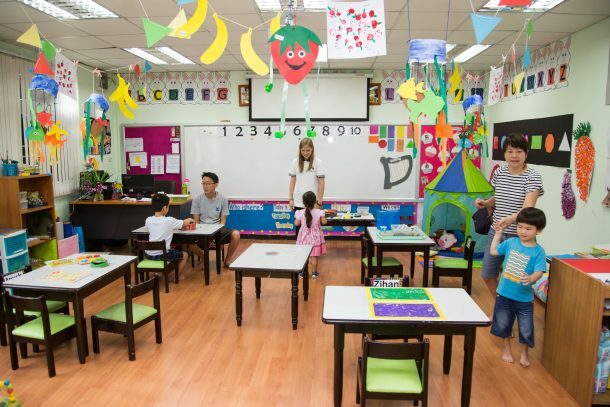 Standard furnishings and equipment include air conditioners, age-appropriate furniture, and multiple storage areas, all of which are designed with student safety in mind. Beyond the standard classrooms, the early years building features a library, computer lab, swimming pool, cafeteria, and music and dance studio. All are equipped with safety precautions and are designed with young learners’ needs in mind. To encourage students to develop a love of school, multiple play areas are spread across the campus, including an outdoor playground with a play set, swings and child-friendly equipment. 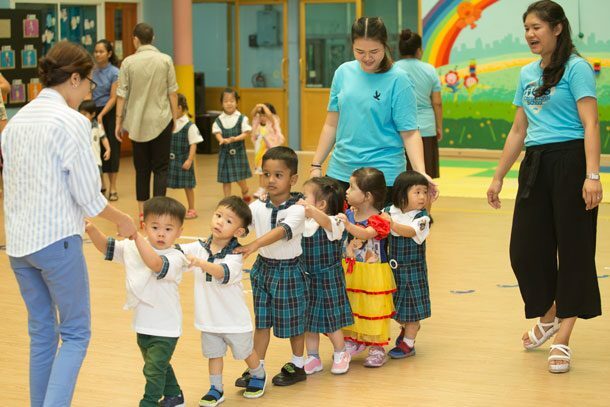 Our early years classrooms are bright, airy and developmentally appropriate for young learners. There are many interesting things for young learners to explore and engage in. 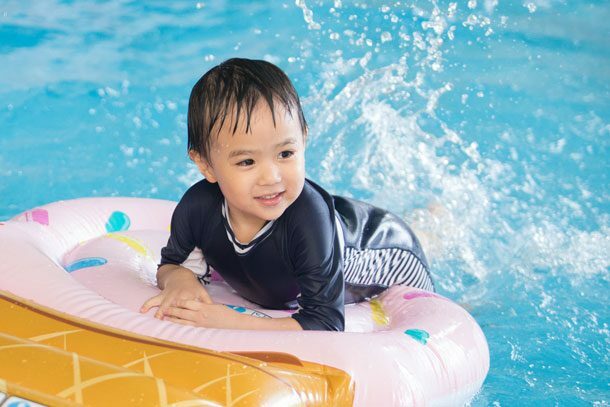 Our early years swimming pool is shallow, safe and perfect for nursery to K2 children. 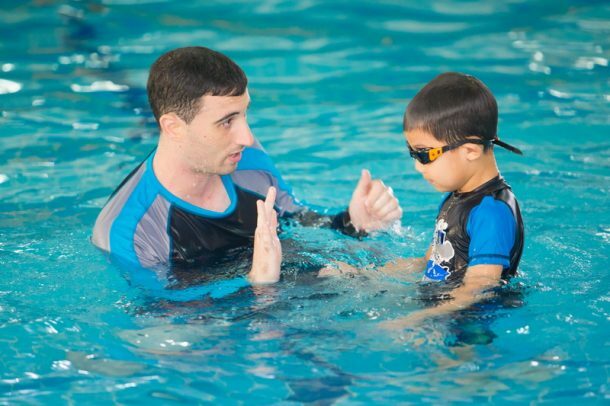 We believe that swimming is an important life skill and that kids should become comfortable in water at an early age. 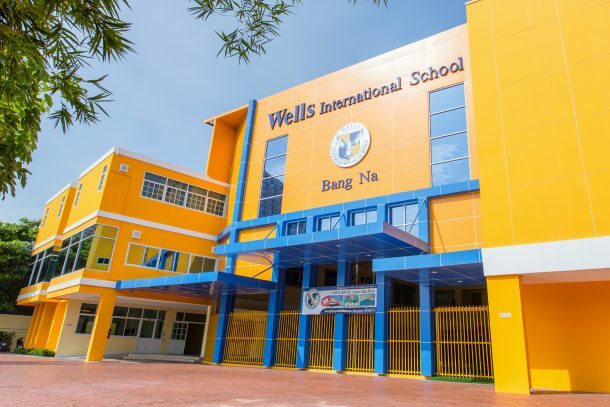 Like its sister campuses, Bang Na’s design ensures that young children have easy access to all locations without walking long distances, and assigned staff members monitor them at all times to ensure their safety. Drinking water is available around the campus, and students receive morning snacks in addition to their lunches. All food is freshly prepared and is closely monitored to ensure high standards of quality and nutrition. 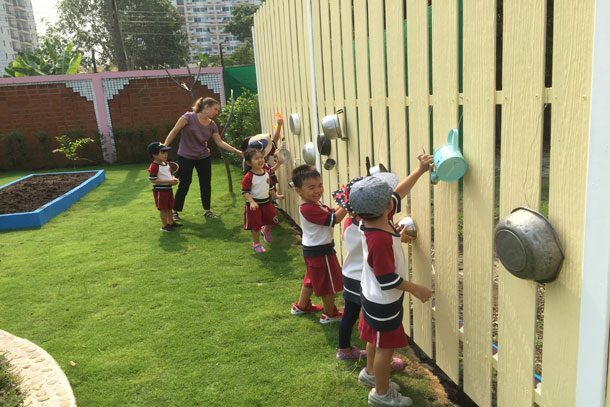 Our early years building boasts an outdoor and indoor playground. Therefore the children are able to play and interact socially regardless of the weather. We encourage different grade levels to play together in order to create a family like environment where all students know each other.